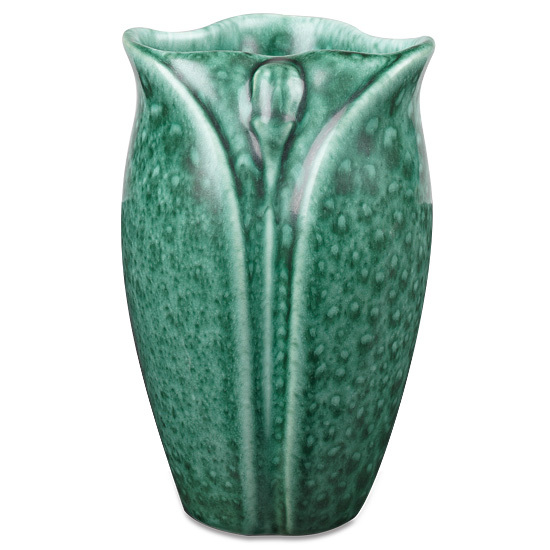 This beautiful petal-shaped vase, with its glazed malachite green finish, is yet another gorgeous piece by the craftspeople at Haeger Potteries. The vase comes from their Arts-n-Crafts collection. Its intriguing shape is adorned with a single bud stem in the center. Its surface showcases markings of what appear to be water droplets on the surface.